I'm Emma and I am one of Ziaja Skincare Ireland's Brand Ambassadors. I am a genuine fan of this Polish brand and over the coming weeks I am going to talk you through some of my favourite Ziaja products and also some of their products my friends and family love also. As a brand ambassador, I have had the opportunity to try out some of the Ziaja ranges but as a true fan, I regularly buy my own products, sourcing them from the number of stockists they have throughout Ireland. If there is any product in this post you would like to try and cannot find it in a local stockist, you can purchase all of Ziaja Skincare's Irish products on www.originalbeauty.ie Ziaja has been celebrating their 25th birthday this year and we have so far visited three Irish stockists to showcase their many ranges and to introduce more people to the affordable brand. 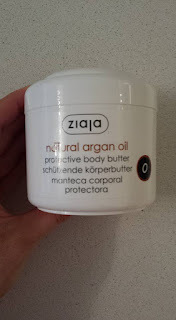 The quality of the Ziaja products are excellent and the value just leaves you more change to buy more of their products so it's a win win for any skin lover. 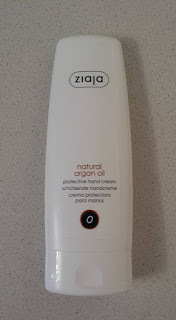 Next up on my Ziaja series is a timely post and this comes as Ziaja are showcasing their Argan Range. I have already posted on their press release so I will just include a small snippet of the information about the products and then my opinion on them. A light and ultra absorbent face cream that instantly improves skin tone as well as hydrating, smoothing and protecting the skin. The Argan oil base strengthens the skin barrier, reduces the appearance of fine lines and wrinkles and combats DNA damaging free radicals, repairing skin cells to reveal a fresher complexion. Suitable for all skin types. Thankfully I was able to test out this face cream as I can be quite fussy as to what goes on my face these days. 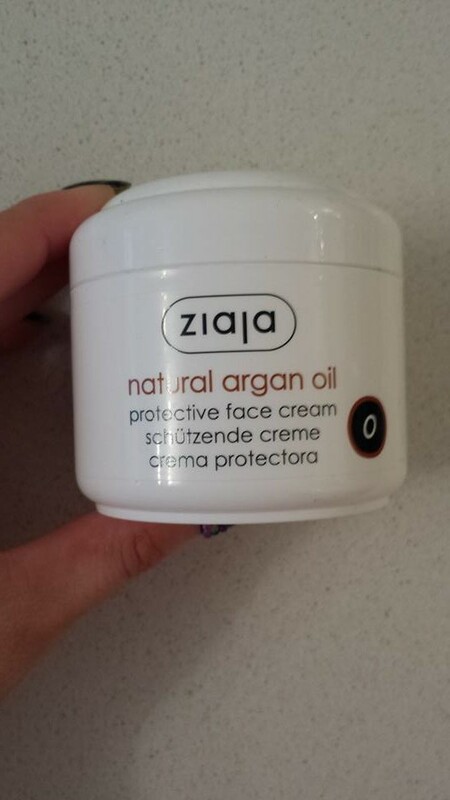 One of the things I like to see in a product is a hydrating factor and this cream feels quite light on the skin once absorbed and as with the whole Argan range, there isn’t a strong scent which I don’t like on my face in creams. Protective body butter with natural argan oil for very dry, irritated skin. This creamy body butter absorbs easily, helping to condition, soften and smooth the skin. The nutrient-rich extracts assist with hydrating and protecting dry, sensitive skin whilst improving firmness and vitality. Leaves skin delicately scented. It is easy to apply and it absorbs quickly. Suitable for use all over the body but great for dry knees, ankles and elbows. Now this!!! I love this product, every morning after I shower I use this on my legs. I find sometimes the skin on my legs just that little harder to soften and feel nice, I guess it has a lot to do with being a pale girl with dark hair growth, I feel I am always attacking my legs with a razor so it’s hard for them to really feel loved I feel. This butter feels wonderful on the skin as do all the Ziaja body butters so I guess it’s more of a scent love for me. I have been using Cocoa Butter products for so long, this makes for a lighter scent. A super daily use hand cream that’s small enough to tuck into handbags so you know that soft, moisturised hands are always within reach. The argan oil formula sinks right into dry and rough skin to sooth redness and protect over exposed skin. Strengthen the hydro-lipid skin barrier, leaving hands hydrated and feeling supple and soft. Any of the hand creams from Ziaja are a handbag essential so I can safely say I will use this daily once my coconut hand product runs out as in my new office where there is serious cold, keeps my hands feeling less like sandpaper and more lady like haha!